Be the hero that brings the family together for an unforgettable experience you’ll all enjoy. We’ll be your guide. We know what it’s like to be the one planning a vacation. We understand the frustration that can happen when you’re trying to find something fun and unique to do that will please everybody. That’s no small task, but we are here to help. 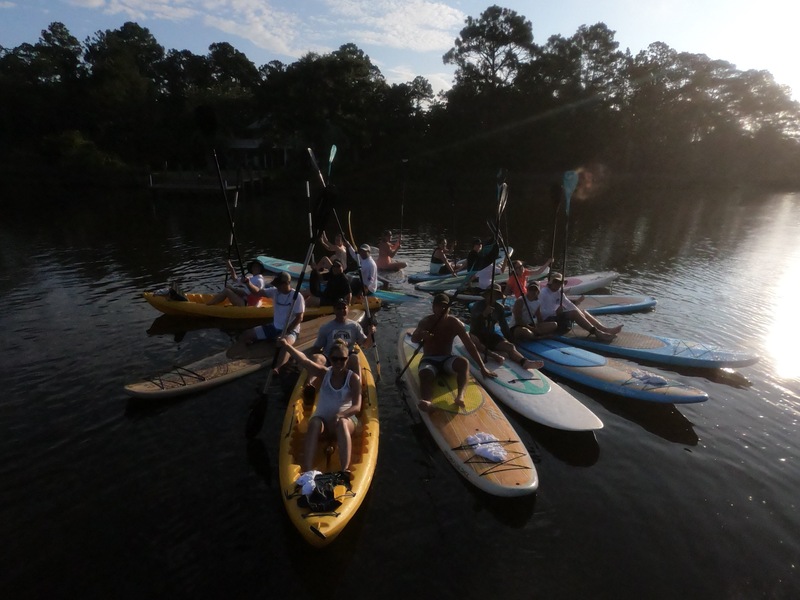 A beginner-friendly guided SUP (stand up paddle board) tour is a one-of-a-kind experience that’s sure to be a hit for the whole crew, and Green Fin is here to help you make it all go right. Don’t miss out on the top-notch moments your vacation should be made of. We’ll help you put smiles on everyone’s faces, and deliver an experience you’ll all remember forever. We know how much your vacation means to you. You deserve a top-notch experience that will satisfy your soul, and our community and past guests agree: Green Fin delivers. That’s why they’ve voted us to receive Perfect in South Walton’s 2019 Gold Award for Best Outdoor Adventure. Thank you to our awesome tribe for this huge honor, you all rock!!!. Our tours are beginner-friendly and include all equipment. Plus we teach you how to paddle!. Your friendly local guides have hand-picked the area’s best paddle spots with you in mind. They showcase our area’s natural beauty, and are places we think you and your family will love to explore! We can take you out for an invigorating sunrise, a romantic sunset, or a refreshing daytime tour. And of course we’re always happy to make recommendations for your unique group. Show up at the designated meeting place where your guide will have all the equipment you’ll need, ready to go. That includes your board, paddle, leash, and Coast Guard approved life vest. You’ll get an introductory lesson on stand up paddle boarding designed to get you comfortable on your board, and then it’s time to hit the water! Step 3 - Ready, Set, Explore! Your guide will lead you on a two-hour adventure through some of the most rare and beautiful waterways in the world, teaching you about our local ecology and history along the way. Smile, we’ll also be taking tons of photos of your group throughout your excursion, which we digitally GIVE you afterwards. No extra fees for your memories here! The best VRM’s know they can’t always provide a disruption-free stay for their guests, and simple compensation doesn’t prove you care enough to earn that 5-star review and return visit. 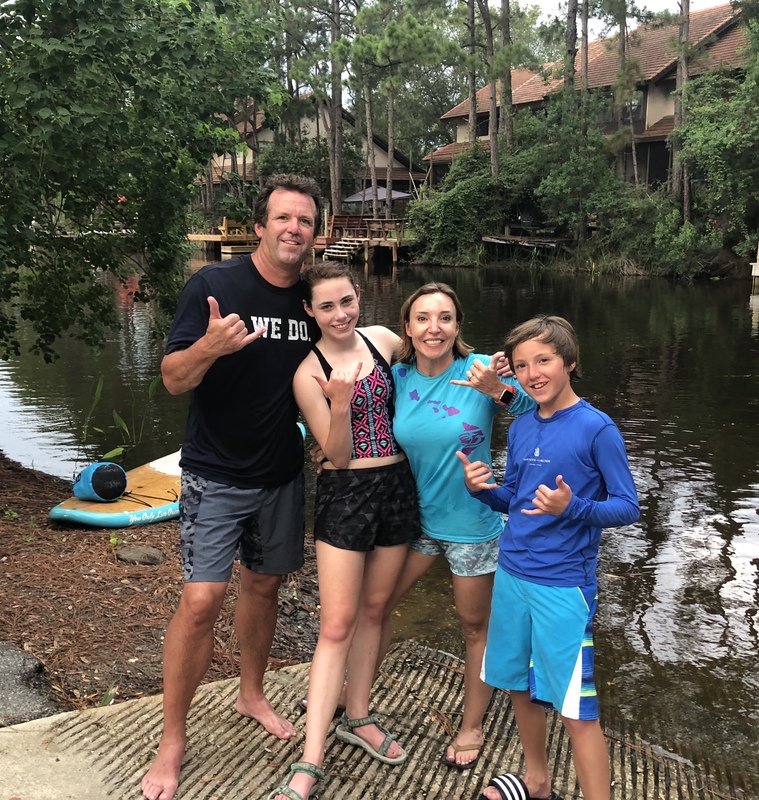 When you need to really turn around a family’s experience, tickets to our award-winning guided stand up paddle board tours are the perfect thing to whip out of your savvy tool belt. Your response will leave your guests happier than if they never had the problem to begin with, and you’ll be the hero that made it happen. Purchase a block of tickets now and be ready for the unpredictable. You work hard to maintain your reputation, so don’t waste an opportunity to showcase what sets you above your competition. Give your guests a reason to brag to their friends, and you’ll welcome them back again and again. Buy a block of tickets! You’ll be glad you came along.